LOS ANGELES--May 26, 2017 (BUSINESS WIRE)--WaterTower Music today announced the release details of the Wonder Woman soundtrack, which features an original score by composer Rupert Gregson-Williams and the new end title track “To Be Human” by Sia Feat. Labrinth. The soundtrack to this epic action adventure film from director Patty Jenkins will be released both digitally and on CD on the same date that the film is in theatres, June 2. On his philosophy of the merging of the music with the storyline, Gregson-Williams expounded: “Wonder Woman is an origin story; we meet Diana before she understands her powers, so her theme needed to reflect her innocence and naiveté. She moves from young girl to a woman who knows her path through the journey of the film. 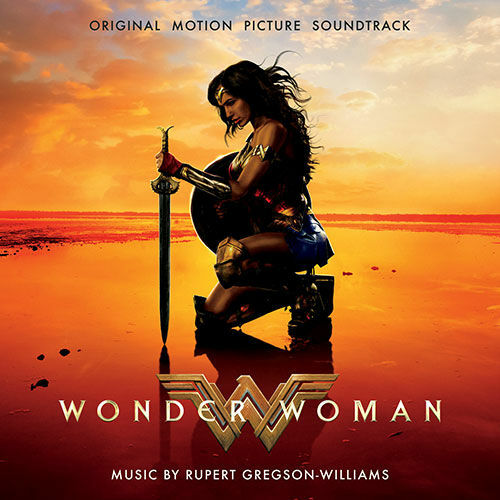 The Wonder Woman Original Motion Picture Soundtrack is now available for pre-order. The track list is as follows. All tracks by composer Rupert Gregson-Williams except for “To Be Human,” which is performed by Sia Feat. Labrinth. Wonder Woman hits movie theaters around the world this week when Gal Gadot returns as the title character in the epic action adventure Wonder Woman. The film also stars Chris Pine, Robin Wright, Danny Huston, David Thewlis, Connie Nielsen and Elena Anaya. Patty Jenkins directed the film from a screenplay by Allan Heinberg, story by Zack Snyder & Allan Heinberg and Jason Fuchs, based on characters from DC Entertainment. Wonder Woman was created by William Moulton Marston. The film was produced by Charles Roven, Zack Snyder, Deborah Snyder and Richard Suckle, with Stephen Jones, Geoff Johns, Wesley Coller, Jon Berg and Rebecca Steel Roven serving as executive producers. Warner Bros. Pictures presents, in association with Tencent Pictures and Wanda Pictures, an Atlas Entertainment/Cruel and Unusual production, Wonder Woman. The film is scheduled for release worldwide beginning June 2, 2017, and will be distributed worldwide by Warner Bros. Pictures, a Warner Bros. Entertainment Company. The film is rated PG-13 for sequences of violence and action, and some suggestive content.